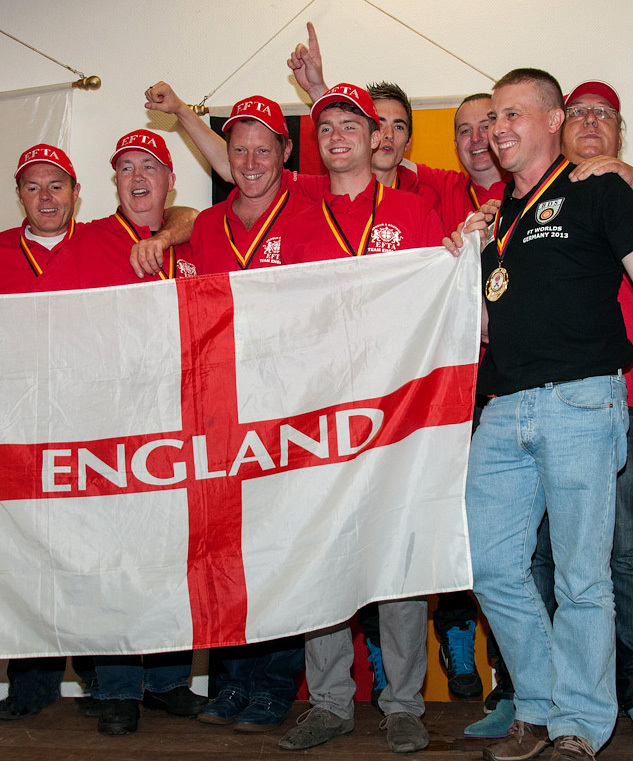 How you qualify for EFTA Team England? The WFTF currently runs two World Championships, normally at the same event. These two championships are the World Pre-charged Pneumatic (PCP) Championships and the World Spring Championships. Each are open to teams and individuals from within the WFTF however as per current WFTF rules the team entries have priority over individual places. Thus the EFTA is focused on selecting team members first and individuals afterwards. Qualifying takes place far in advance of the World Championships so as to provide adequate time for team members to make travel arrangements and for the EFTA to confirm places with the host nation. Firstly, competitors from the previous year’s WFTF World Championship, achieving a position of 3rd or higher place, in the relevant individual championships, are automatically offered a place in the next year’s team. Those attaining the same score as a 3rd or higher place would be considered on equal merit as a 3rd or better placed result. For example, a shooter attaining 3rd place in the individual PCP championship at WFTF 2018 would be offered a place in the EFTA PCP Team for WFTF 2019. A shooter attaining 3rd at WFTF 2018 shooting a Piston rifle would not be offered a place in the EFTA PCP Team for WFTF 2019. EFTA shooters wanting team or individual places will be required to compete in the BFTA Grand Prix series during the 2018 season and will be ranked on their 3 best results. Those EFTA shooters wishing to shoot Spring Category at WFTC 2019 will have to shoot 3 Grand Prix events in the BFTA Piston Class. Open Class shooters are not elligible for quali cation as there is no Open Class in WFTF. A BFTA card will be mandatory not only for the 2018/2019 season but also the 2019/2020 season. Deadlines for acceptance and payment for all EFTA shooters will be announced in due course.